Turning Vision Into Action: The Beauty Of The Days Gone By! The Beauty Of The Days Gone By! Mid-July and summer is here! 107 degrees as I write this blog entry. We are, what we call in our profession of education: Between Seasons. The 2016-2017 school season is in the rear view mirror. Packed away. All of its joy and its exhaustion. And the 2017-2018 season looms ahead. We use this summer time to breathe, to reflect and to ask, how can we do better next season? We use the summer time to recover and repair, so that this next season of our professional life can become another good one. We also use this time to learn and to grow. 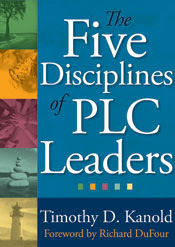 To that end, more than 7000 professional educators- teachers and administrators used some well-deserved “off-season” time to attend our June PLC events. 7000! Caring professionals just like you, using the summer to examine current practice and planning now for an even better 2017-2018 season. And, as I often talk about in HEART! many of you are also using the summer for some good old fashioned Quadrant II, taking care of yourself time. Thank you by the way to all of you that are making HEART! part of your summer reading and reflecting time. Good friend and colleague Jon Yost just last week sent me a picture from the beach, in a beach chair, sun tan lotion on, and there he is reading HEART! with the book open as he reflects on his personal leadership journey! 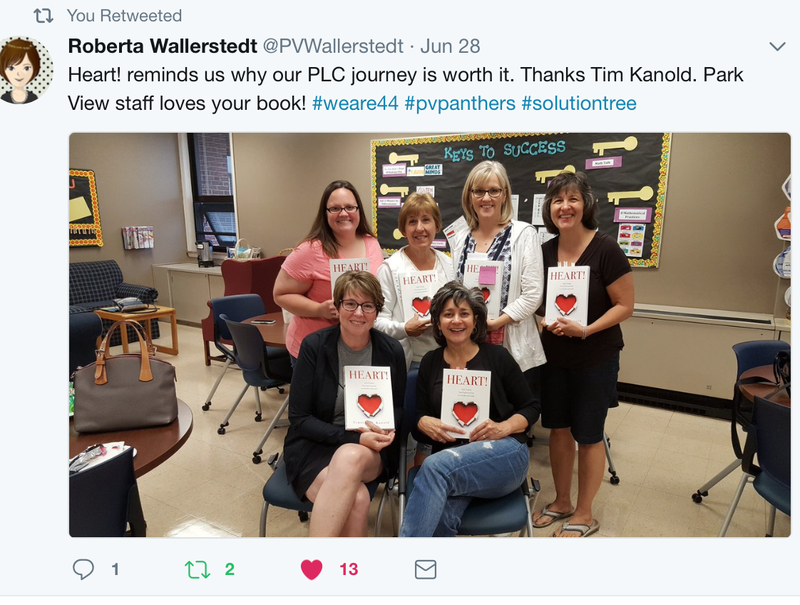 Or just recently the Parkview Elementary staff in Lombard, Illinois sent me this picture of their summer staff reflections with HEART!, via twitter. Thank you for letting me know! 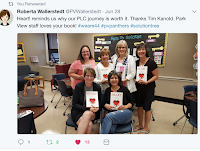 What Principal Roberta Wallerstedt and her staff could not have known is that for the 1st seven years of my life (1951-1958) I grew up a stone’s throw from their school. I lived on South Westmore Avenue. That is a lot of summers ago. So, that takes me to the point of this blog. The Beauty of the Days Gone By. My 2017 summer so far has been a blend of recreation and work. And it was in one of those “using a summer day to get caught up with work” moments at home, that a song on Spotify grabbed my attention. The kind of emotional grab that makes you stop every thing you are doing and listen for a minute. To sit and consider the path you are walking. So, I made time to “feel” my school seasons of days gone by. For me, 45 of them. Yes, 45 seasons spent in rural, urban and suburban schools. For you it may be 1, 15, or 26…but no matter, they are not seasons you can recover. And, they may not have all been great. Maybe there is a “days gone by season” for you that doesn't lift your spirits for the work of our profession. But I hope this summer you can at least connect to the best of those days, as a reminder of why you are in it for this next season coming up. It is good to be between seasons, I believe. How else are we to recover and renew? Our students are counting on us to be our best in this next season. It was at that moment, I realized why this song of the summer of 2017 had stopped me in my tracks. Had grabbed my emotional attention. Because in this past year, this past season, I (and others) have lost Jerry, and Jean and Rick. And I had lost the beauty of my days with them. Right there, in my kitchen, at that moment, I raised an imaginary glass to my personal and professional friends Jerry Cummins and Rick DuFour, and to my Gram – Jean. You have lost some too. No matter your age, or your wisdom, your hardship or your victories, there is in all of the “stuff of life” a beauty in the days we have known – even as we look ahead to the next season. Who am I because of the beauty and the grace and the life of Jerry and Jean and Rick? 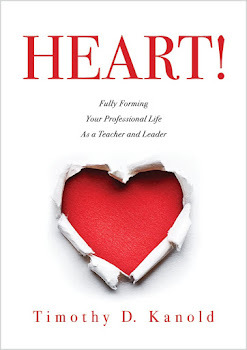 Who really is your true self you will bring to your students in this next season? What indeed will be the beauty of your days gone by when it is the summer of 2018? A year from now? The other day, I went for a 6 mile run. I wore my hat backward the entire run. And yes, some of my friends and family made fun of me a bit. Not appropriate for a 66 year old guy. So, why do it? Partly because I am an educator. In our profession, we grow older, but the kids stay the same age. Partly because it was a habit of my youth. It takes me back to playing little league baseball with my friends and our coach Mr. Giacomo, yelling at me to pay more attention to the game and turn my hat around! Even now, my hats are always a little torn and tattered and smelly, just like in my youth. This summer, the smells of good BBQ, or new cut hay in the fields, the sweet sound and smell of the rain in a summer storm, and the late evening air – these smells and more remind me of the best the summer season has to offer us – as we find relief from our time and work and effort in the days gone by from our past school season, and renew our strength and our resilience for the professional season that is to come. Keep me young as I grow old. May you find you sights and your sounds and your smells of this summer season enjoyable to you and your family and find the beauty in them and in the people that matter most to you. As you take a renewing break between seasons, may it prepare your emotional, mental, and physical will for the professional season that looms ahead! Your 2017-2018 season and the students just ahead are counting on it! Thank you for this thoughtful reminder of time to take care of ourselves. This year's personal goal is to minimize working after 7:30 PM. As my mind busily plans for a workshop just two days from now, I am reminded to prioritize the Quadrant II time. This is my favourite time of the year, when we are in between the seasons. I know people generally like summers more, but I find the heat often gets too much. Nitridex I might want to impart its privileged insights to you so you never again need to endure the way I used to Common Enhancement. With the magnificence of the maker overrunning every one of his manifestations, that excellence is unquestionably there to see. The inquiry at that point progresses toward becoming what is the nature of the vision of the onlooker? Instantly Ageless Cream Thank you for another great article. Where else could anyone get that kind of information in such a perfect way of writing? I have a presentation next week, and I am on the look for such information.